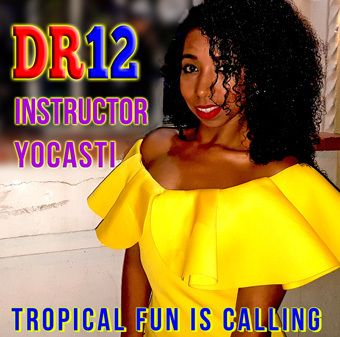 Yocasti Puntiel from Santo Domingo Dominican Republic is the most famous instructor of Authentic Dominican Bachata, salsa champion of Dominican Republic, award winning performer, scientist of authentic bachata, diamond level instructor, amazing animator and coordinator of the DR12 Bachata Festival . Yocasti was the best of all in DR11, DR10, DR9 and DR8. Yocasti showed her outstanding skills already in DR4, DR5, DR6 and DR7. Yocasti has authentic bachata in her blood. Like all the great Dominican dancers she learned bachata at the age of 1 years old. 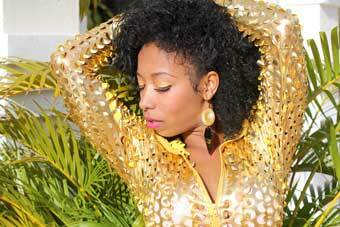 She refined her bachata in the streets, colmadons and discotecas of Santo Domingo. Yocasti can dance all the latin dances (Bachata, Salsa On1/ On2/ Dominican/ LA/ New York/ Cuban, Dominican Son, Chachacha, Bolero, Merengue, Tipico, Mambo, Palo, Dembow, etc.). She is internationally famous both in Bachata and Salsa and a frequent instructor and performer in Bachata and Salsa Congresses. Yocasti will teach in DR11 Bachata Festival with Bachata Ambassador Vesa and also with Carlito, Maquiol and others. Yocasti is also the driving force of the Dominican animations (=fun activities). Yocasti is the co-creator of the worlds best selling bachata concept DR11 Ruta Bachatera. Yocasti does workshops for beginners, advanced dancers, highly artistic, really complicated, simple, extremely scientific and uniquely peculiar. Here you can see the footwork masterpiece done by Bachata Ambassador Vesa & Yocasti. Later on there will be a huge series of Authentic Bachata published by Bachata Ambassador Vesa & Yocasti. Yocasti&Vesa having fun in Santo Domingo Colmadon. Listen to the comments of random Dominicans. This video explains double and triple step in a box. Bachata Ambassador Vesa created the professional training of how Dominicans dance bachata (=Authentic Bachata). He has the best knowledge of how to explain the philosophy, culture, stucture, common element and huge amount of practical things. Vesa has created excellent methods together with Yocasti. We will make sure everyone will dance like a dominican in DR12 Bachata Festival. DR6 Fun Activities: Last Couple is the Winner ! Designed by Yocasti. Bachata Ambassador took the video below when Yocasti was danging her first time ever with Yeri la Ley. No rehearsal, with flip-flops. Right away they got more Youtube visitors than any other DR1-DR11 instructors ever. Now the Yeri&Yocasti video has over 1.5 million visitors. They are the leaders also in the viewing time, likes and comments. Yocasti created a workshop "Explaining the Yeri la Ley style". The element are shown in this 744 739 visitors Yocasti&Yeri workshop subset video. Rodolfo&Yocasti bachata in front of the Columbus House at Zona Colonial, Santo Domingo. Yocasti won the Salsa champion title in the TV program "Sábado Extraordinario" of Canal 5 in Santo Domingo DR.
Salsa show Fusion Latina: Yocasti Puntiel, David Paulino, Genesis Ortiz and Luis Ofther. Salsa show Yocasti, Rodolfo, Fanny, Wander, Genesis and David. Rodolfo&Yocasti Salsa social in DR6 Club Merengue party night. 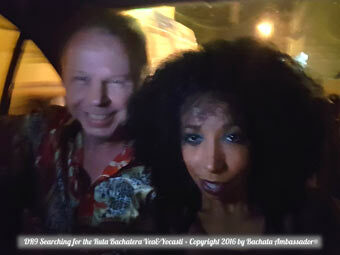 Yocasti&Patricio LA Salsa in Finland. Bachata Ambassador organized 2014, 2015 and 2016 Authentic Bachata Europe Tour with Yocasti and Rodolfo. Here is an example of how we did the extended weekend in Tampere Finland May 5-8, 2016. The weekend event we had in Stockholm Sweden 2015.